The zippered leather pouch is designed with a inner USB adapter pouch, no need to worry about losing the tiny adapter any more. 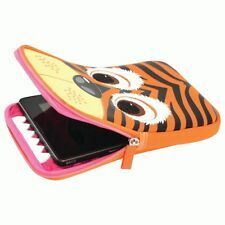 Stylish, ultra slim and lightweight holder. Fits Apple Pencil like a glove and slides in effortlessly. Featues: Protect and carry your device in this soft and durable neoprene carrying case Soft and padded interior protect your device from scratches, bumps, and other damage Two side zipper pockets for storage of cell phone, wallet, keys and other necessities Dual zipper openings and top handles provide convenient access and ease of carrying while on the go Water resistant Made with high quality new materials, this case is your perfect choice! 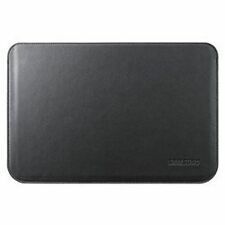 Specification: Condition:100% Brand new Color:Blck Material:Neoprene Compatible with most popular 9.7"-10.5" tablets. 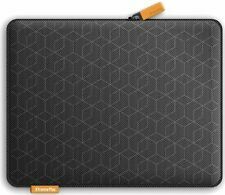 Approximate Interior Dimensions: 12.5 inches x 8.5 inches x 1 inch Approximate Exterior Dimensions: 13 inches x 9 inches x 1.5 inch Package Included: 1 x New Tablet Sleeve. FlapTop Sleeve only. No original box or any other accessories. Functional Condition Not Included. in Pretty Katalina Blues For Back-to-School, Vacation, or Work Site **************************************** Katalina Blues features cool blues & greens that tell a refreshing story in this modern print. "Camo background and added a floral on top that blends into the camo.” ADJECTIVES. “Cool and calming, camouflage, organic, minimal” FIT FOR. “The athletic, easy-going woman. FlexARMOR X Rugged Neoprene Sleeve. The FlexArmor X series features reinforced Neoprene that’s 50% thicker than its original design. 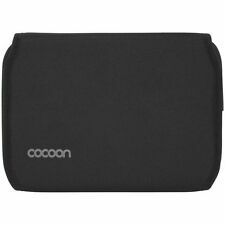 The flexible fabric fits like a glove, snugly conforming to your gadget's shape while the padded texture cushions your device like bubble wrap. 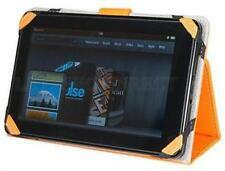 · Accommodates most e-readers and smaller tablets. Color and/or patterns may vary. Incipio Apple iPad Mini & 7" Tablets Gray Felt Sleeve Case. 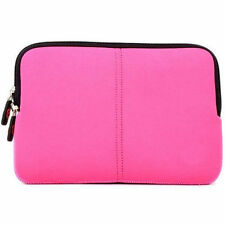 Incipio 7" Felt Sleeve Case for iPad mini & 7" Tablets. Professional and sophisticated iPad mini 7" felt sleeve that looks as good as it protects. Denim Carry Sleeve Pouch Bag Case For iPad Mini Air Pro iPad 2 3 4 5 7.9"-10.5"
Kesu Protective Carry Sleeve / Case for New iPad mini 5, 1, 2, 3, 4 Gray - NEW!